What “SURPRISES” are waiting for you in Single Day? Single Day, the biggest shopping day in China finally arrived! Since more and more brands (local and international) are participating in this huge festival, how to stand out from the crowd and draw the attentions are the keys! This time, let’s have a look at the treats offered by 3 international candidates (1 E-commerce platform and 2 fashion brands) , and get some inspirations! Farfetch – Hey, You Got A Secret Mission! Starting from this Weibo post on 3rd November, people can scan the QR code and play a simple game to get the promotion code, or even win 100 dollars for Single Day shopping. Leave your finger print, read the secret message, a bit of interactions to get the clues! 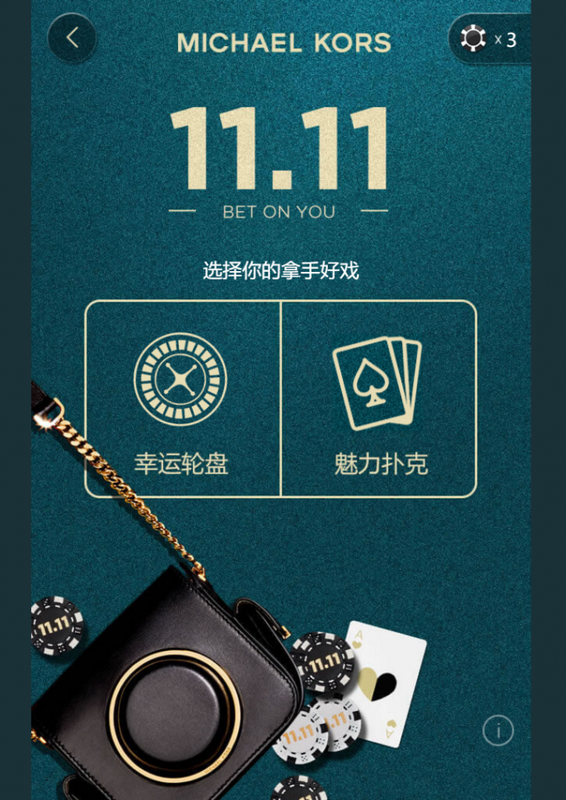 Michael Kors opened its online Chinese boutique recently, this time for Single Day, they designed a “gambling” game for Chinese customers to get the “fortune”. By filling in the mobile phone number (Mainland China, HK or Macau number only), customers will have 3 chances to try either the lucky roller or poker. Customers can win the E-voucher worth up to 500 RMB for shopping online. Since Coach left Tmall two months ago. 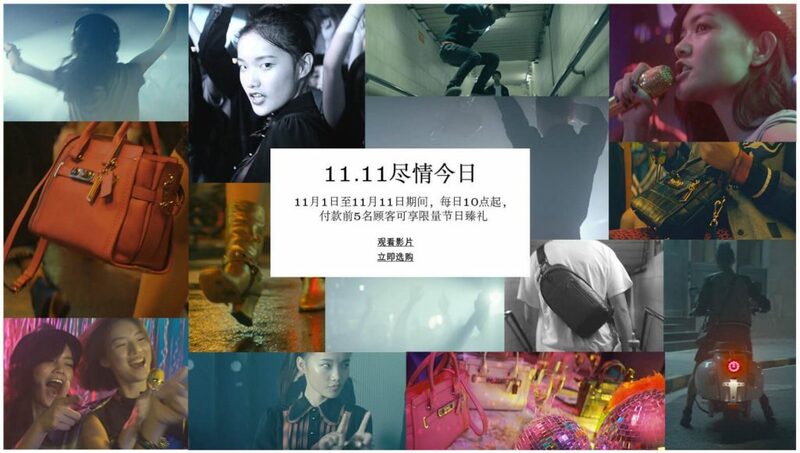 This year, they really put efforts on their own for the festival, from official website to the most popular social media platforms in China (WeChat, Weibo). In the homepage of the China site, there’s a section dedicated for Single day, including a commercial ad and selected products with special discount. 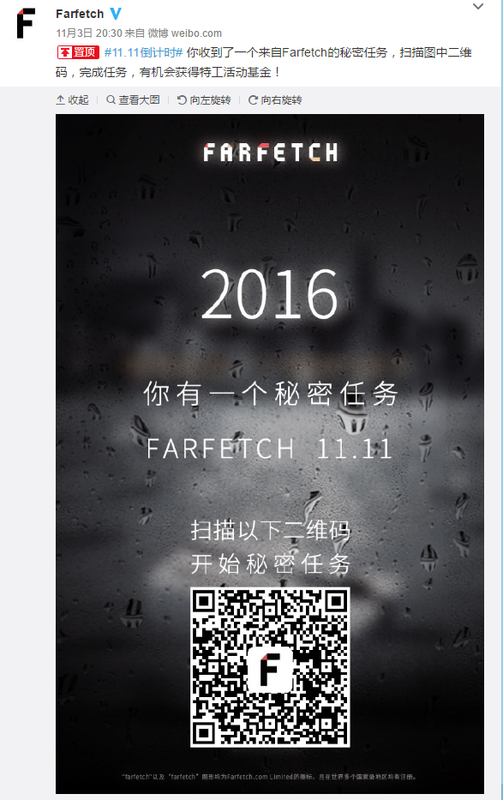 Besides, they even sent a Single Day shopping guideline via WeChat post for people! After years, Single Day has become more than a festival to celebrate being single, and it is not only a single one-day shopping event anymore, most of E-commerce sites have extended it into more days to ease the traffic and drive more sales. Will this year of Single Day break more records? Just wait and see!